Home > News & Blogs > Brain Injury > Elderly drivers – a risk on the roads? I have recently taken on a new child brain injury case involving an 8-year-old boy who suffered serious injuries in a road traffic accident. My client was knocked over by an 80 year old who drove through a red light at speed. The accident occurred on the 1st September 2016, just five days before a Swansea University academic  reported the findings of his research that older drivers are not dangerous and compulsory age-related testing will not reduce the number of road traffic accidents. My client was crossing the road at traffic lights when he was hit by the defendant’s car. The police investigation is ongoing, but they informed my client’s mother that the driver was an 80-year-old man who drove through a red light at speed. The accident occurred during daylight hours, and the road layout is such that my client would have been clearly visible to the driver as he crossed the road. The police have ruled out drink driving or use of a mobile phone as possible causes for this accident. They have indicated that the driver’s age may have been a factor in the cause of the accident. The circumstances of my new case reminded me of the tragic accident involving 80-year-old Norma Stokes who inflicted serious brain injuries on an 11-year-old girl after her car mounted the pavement and struck a group of eight children. Five of the girls suffered injuries. It was reported in the press that the brain-injured girl can no longer read or write as before, suffers short-term memory loss and epilepsy. These symptoms are typical of someone suffering a serious brain injury. The girl’s mother said that it was like her daughter had died in the crash because she is not the same girl as before her accident. “This case illustrates the need for the government to urgently review, if it is not doing so already, the manner in which the elderly can or should be permitted to continue driving and hold a UK driving licence”. child and her family were catastrophic. 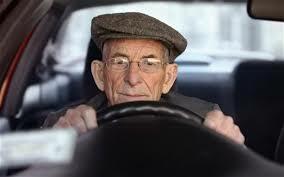 Drivers must apply to renew their licence at the age of 70, and every three years thereafter. 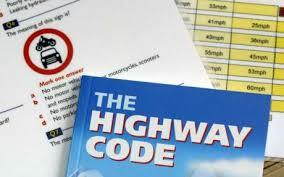 As part of the application, they are legally obliged to declare any medical conditions, which could affect their driving, and must confirm that they can still read a number plate at 70ft. What surprises me is that there is no requirement for any formal medical or driving test. The self-declaration relies on the judgement and honesty, of the individual. This seems strange to me in view of the fact that it is well recognised that a car was potentially a dangerous weapon , and the potentially catastrophic consequences of road accidents involving children. How many elderly drivers are on our roads? The latest figures from the Department for Transport reveal that there were 4.5 million people aged 70 or over in the UK who had a full driving licence. As there is no formal medical or test as to whether an elderly person is still fit to drive, this could lead to hundreds of thousands of drivers making the wrong decision about their ability to drive. They estimated that around a third of drivers turning 70 will give up driving prematurely; however, 10% are likely to continue driving with poor levels of ability. Referring to the statistics above, that is still an alarming number of people. The Department of Transport have no plans to restrict licensing or make it compulsory for older drivers to undergo additional training despite high profile road accidents involving elderly drivers. I recognise that driving gives older people freedom and independence, without which, they may become depressed and isolated. However, I also recognise that as we age we suffer physical, cognitive and sensory decline, which could affect our driving ability, and I think something as important as this should be the subject of an independent, objective test. We age differently, so I appreciate that an age related testing may seem illogical, however, the potential consequences of a serious road accident make it imperative, in my view, that we introduce compulsory, periodic testing for drivers aged 70. I am a Partner at Bolt Burdon Kemp specialising in Child Brain Injury claims. If you would like advice about making a claim on behalf of a brain-injured child, contact me free of charge and in confidence on 020 7288 4854 or at cherylabrahams@boltburdonkemp.co.uk for specialist legal advice. Alternatively, you can complete this form and one of the solicitors in the Child Brain Injury team will contact you.